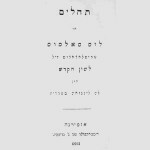 Benyamim Sedaka’s English translations of the Israelite-Samaritan “Blessing on the Food” (Kiddush) and Abraham ben Marchiv Tsedaka Hassafari’s opening to the Friday night Shabbat meal . 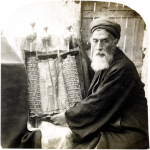 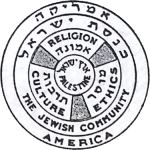 . .
Benyamim’s Sedaka’s English translations of the Israelite-Samaritan “Prayer to be Read by the Eldest Reader of the Sabbath Portion” and Abraham ben Marchiv Tsedaka Hassafari’s poem to be read after reading the last portion of the Torah reading . . .